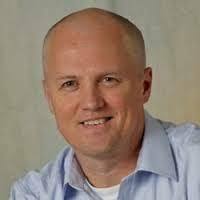 Maarten van Oost founded Act2Vision with its mission to support SME-organizations improving Supply Chains and Operations, building Excellent Operations and Supply Chains. During his career he studied many processes in a wide variety of organizations. After his study Industrial Engineering started as a process improvement consultant in financial services. In 2002 switched to manufacturing industries as Paper & Board, Process Chemical and Plastics industry. Adapted the TPM principles and completed ASQ’s SixSigma Black Belt training (Atlanta) in 2007, to continu to master the aspects of operations and practical implementation. Until 2012 active as operations manager and then to start as a senior management consultant with program and project deployments focussed on logistics, supply chain and operational improvements. He holds a master degree in Operations and Supply Chain management at TIAS Business School. After his study in Civil Engineering at the Royal Military Academy, he started as an officer at the Genie in various managerial and logistic functions. In 1989 switched to a logistic /sales functions at Draka Polva (part of Solvay) manufacturer of plastics. In 1996 he worked as a sales/consultant at a consultancy organization (Crovadis) in Supply Chain software. 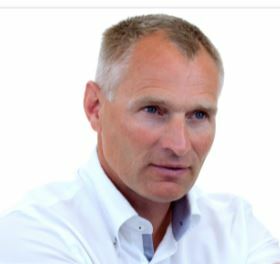 In 1999, he started his own company (Chainresult) in Training & Advice on the implementation of Supply Chain Software and carried out these activities among others at Agrifirm, Karlshamns and Rijk Zwaan. In 2010 he started a new organization in Training & Education (BBL) and provided it in many fields (warehouse, production, cleaning, mail, green, etc.). Inspired by the teaching methodology and with a vision on effective and efficient development of people, the idea was born to build a competence-oriented training system for all employees of an organization: 2BImproved. This application is implemented at various organizations as a competence development system: Smurfit Kappa, DS Smith Packaging, Axxor. The split sister package Werkstap is implemented in the field of employee reintegration. Both applications currently have more than 25,000 users. Say Blue is Act2Visions strategic partner for positioning and improvement on customer interaction and communication in Life Cycle Services. 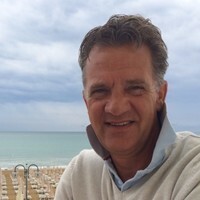 Paul van Geldorp is a senior advisor and trainer for mid-size companies in customer interaction. As founder of Sayblue, a consultancy firm specialized in design and implementation of commercial processes and market positioning strategies, his interventions have contributed to the successes of numerous organizations, both in terms of increased order intake as in improved customer experiences. He holds master degrees in Applied Linguistics and Strategic Marketing from Tilburg University and TIAS Business School. Say Blue is Act2Visions strategic partner for positioning and improvement on customer interaction and communication in Life Cycle Services. After his study Higher Distribution Logistics started as Packaging expert. Gained Experience in multiple operational environments as trainer and change manager. Active in operational management positions until the end of 2012 to continue as self-employed interim manager Operations with Suc64U. 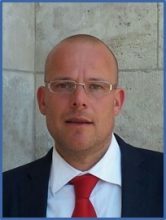 In 2013 he completed Foundations of Management FMA at Nyenrode University to become an expert in the practical application of Interim and Change Management. In 2015, Rob earned a Master degree in Business Administration (MBA) at Nyenrode University. During his career he has managed and improved multiple operational processes and organizations In Food and Non-food with a strong emphasis on improving business results through behavioral change. Facta Vision consists of a team of specialists with more than 35 years of experience in the field of planning and visualisation solutions. Planning brings order into chaos, makes complex – whether or not geautomatieerde data streams – transparent. Planning brings rest in the organization and directly influences performance and return. Planning basically comes down to making relevant information visually. Facta Vision analyzes your needs and delivers advice without engagement. Based on crystal clear arguments we advise you which system suits you best. Log-Hub AG (CH) is Act2Visions provider of Supply Chain Apps using Excel Add-ins. The company started in 2017 with building apps that can be used to get deep insight in your supply chain. The apps are very easy to handle, do not require significant investments or training.